While banner ads may have worked in the past, the statistics and trend data suggest they are no longer the best performing option in mobile advertising. According to a 2013 Opera Mediaworks report*, standard banner ads (served on both mobile website and in-app) average a .32% to .39% CTR. CellAd campaigns range from 2.63% to an amazing 8.22% CTR, far exceeding standard banner ad performance. 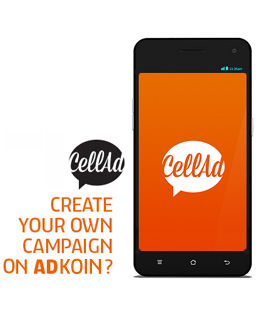 Supplement those banner ads by connecting with the CellAd community through rich-media ad campaigns and demographic targeting, where click through rates often surpass the mobile industry average. The high CTR averages are achieved through our extensive community of users who have signed up to receive your ads. They are located across the globe in over 120 countries and represent a varied demographic profile that responds well to great offers based on their interests. With such high performance our eCPC rates are often much lower than industry standards ($0.36**) and on average with industry leaders like Facebook (CPC charge for Android $0.18 and iOS $0.40***). CellAd eCPC averages $0.22. In January 2014 our eCPC across all campaigns ranged from $0.17 to $0.43, well within industry standard costs. To view our performance metrics on actual campaigns take a look at our Case Studies! *Comparison data comes from the 2013 State of Mobile Advertising report from Opera Mediaworks.